Ultimate Chicken Horse Launching on SWITCH! Ultimate Chicken Horse is coming to Nintendo Switch! The game launches on September 25th with a massive new Chimply Amazing update, which you can see in the trailer below. If you want to learn more about the details of all of the new stuff in the game, you can check out the Chimply Amazing page. Pre-purchase of the game for the U.S., Canada and Mexico can be found here, and 10% off until the 25th! Pre-purchase of the game for Europe, South Africa, Australia and New Zealand can be found here, also 10% off! We’re currently running a giveaway where 5 participants will receive a copy of the game on Switch and a Monkey t-shirt, and another 5 will get a copy of the game on Switch. For a chance to win, post UCH-themed fan art before Sept 24th 3pm EST and tag it with #UCHContest on Twitter or Instagram, or post to our Facebook page with the same hashtag. Getting Ultimate Chicken Horse onto the Switch and getting this content update out has been a long process with many hurdles in the way. We’ve been working full-time on this since the previous update came out, when the game launched on PS4 and XboxOne in December 2017. We’ve worked on a lot of things, and a lot of roadblocks came up. Some of them are common to all developers working on porting to a new platform, but some of them were specific to our experience. Being the first Unity game to have cross-play between Switch and PC, we had a number of roadblocks where we needed to wait for support from either Unity or Nintendo, and it wasn’t always straight-forward. Beyond that, we had a ton of optimization to do to make the game run as smoothly on the Switch as it does on PC, and we think we’ve come close to achieving that. I can personally say (Rich speaking here) that I’m extremely proud of the team for pushing this along and making this amazing update for all platforms while overcoming the hurdles of the porting process. From the programming challenges to the art and user interface discussions, the community building and getting people hyped for the announcement, everyone did a stellar job and I’m really happy to be working with such a strong team. First, we launch on Switch!!! Then, next on the list is more content for UCH which we didn’t manage to pack into this update. The timing and the content of the update is still being determined, but we expect the gap between updates to be significantly shorter than the last time (since we don’t have another console to port to). Beyond that, we’re going to start taking some time to learn, to hone our skills, and to develop new ones. This learning period will be somewhat freeform, but we want everyone on the team to take some time to develop as a craftsperson in their field, and we think that some cool ideas could come from it, so it’s really a win-win. What’s the team most excited about in the new update? Rich: I’m most excited about the fact that the game is finally on Switch, and that we can move on to a production that is less focused on bug fixing and more focused on new, fun things. If I have to choose one thing specifically from the update though, I’d say the punching block. Being the first user-triggered block gives it a ton of possibilities for cool gameplay. Ben: Probably the music for the new Mainframe level! Platform jumping, arrow dodging, bomb exploding … pregnant cheering? I’m not sure what the lyrics really are, but it’s a pretty awesome track. Alex: Now that the Switch version is out we can move on to some new things. That means some fun new stuff for Ultimate Chicken Horse, as well as a completely open future for the company. How cool would it be if we had a completely different game?! Kyler: My favorite new feature is the Rule Customization. Ultimate Loser is an amazingly fun way to play the game in a new way, where you do better by being last. This makes for all sorts of new interesting strategies and construction options. I expect the community to find other interesting rulesets that we would have never imagined. Gen: I think that the Nuclear Plant level is one of the greatest things to happen in UCH history - it’s THAT fun. It also has a special place in my heart because I saw it evolve through feedback from our Beta testers and many design discussions among the team. I also spent many hours finding ways to break it while doing QA. Fun times. Fabio: Fabio was on vacation when we wrote this, but we <3 him anyway, and he made the Monkey character… thanks Fabio! We’re sure that the Monkey is his favorite part of this update. That’s all for today folks, if you want to keep up to date with Clever Endeavour news, please subscribe to our newsletter so you don’t miss a beat! Here in Montreal we’ve been having stellar weather, hot and sunny and wonderful with the exception of a few thunderstorms and 35°C weather with 100% humidity. But despite enjoying the summer sun, we’ve been working our butts off on Ultimate Chicken Horse, as you’ll read below. As usual, we have some Switch updates but we don’t have a ton of solid information for you. We sent the game to Nintendo again for another round of certification at the end of last week, and have received word that there's one issue that needs fixing. Once they finish the round of testing, we'll see what else needs to be fixed and how quickly we can get it back into certification. We’ve also been testing the new features in the game on PC, PS4 and XboxOne so that we can submit for certification on those platforms as well before the big update comes out. The PlayStation 4 build is currently in the certification process, and XboxOne will go out soon. Regardless of when these pass cert, we're going to launch the update across all platforms at the same time unless something weird or crazy happens. We're often asked if we'll be at one event or another, and it seems that Eve has taken it upon herself to get us some news to announce on that front in the month of October. The first event on the list is actually at the very end of September (29th-30th): it's the Queerness and Games Conference, which will be taking place right here in Montréal. As the name implies, this conference is all about exploring the intersection of LGBTQ issues and video games. You might not know it, but for a few years before she pivoted to the games industry, Eve studied gender and sexual identity at University. She's actually just a thesis short of being a Master of Sexology (yes, that's an actual title! ), so attending QGCon really is a no-brainer for her. Two days later, Eve will be jumping on a plane to Prague to speak at the 4C conference on October 5th-6th! She'll share her experience with balancing her professional and personal life as a Community Manager, i.e. someone who's always looking at social media for a living. It's harder than you'd think! A few days after landing back on this continent, Eve will then head out to Worcester, MA for the Different Games Conference on October 12th-14th, where she'll give another version of that talk as a panel. 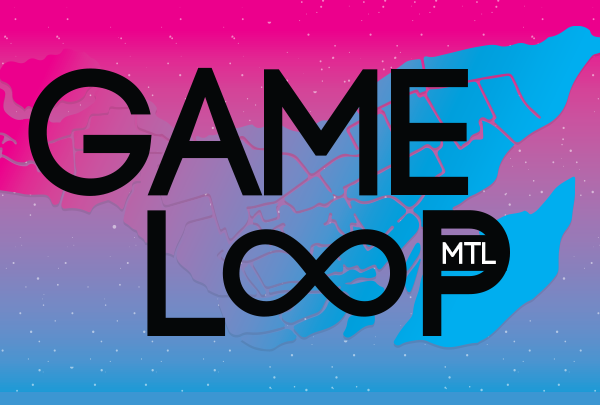 Unfortunately, this means that she will not be able to participate in this year's GameLoop Montreal, another fantastic event held by friends of ours on October 13th. Rich and Kyler will be there though! Last but not least, Eve is thrilled to be attending TwitchCon in San Jose, CA - both the Developer Day on October 25th, and the convention itself on the 26th-28th. 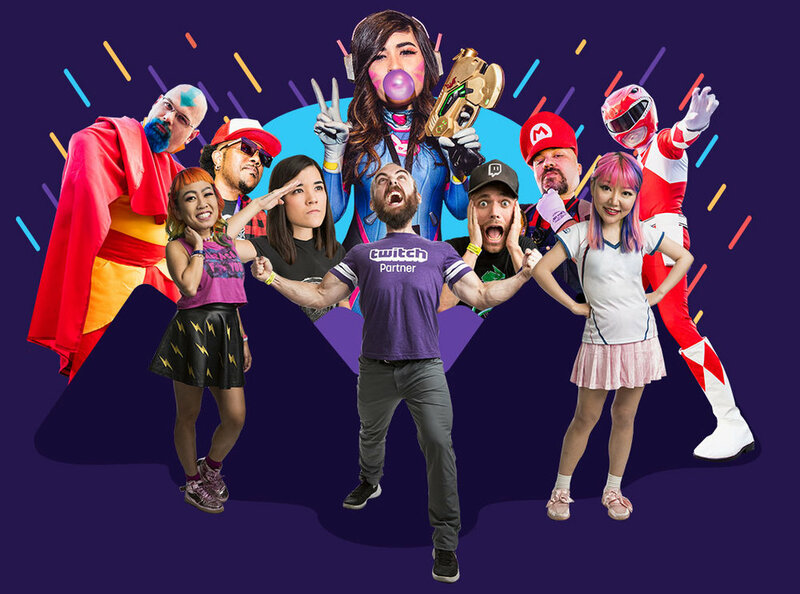 TwitchCon is a conference revolving around Twitch, unsurprisingly. It’s a pretty huge thing, and last year it had 50,000 people at the Moscone center in San Francisco. This year’s event will be taking place at the San Jose Convention Center, and should be as big as last year if not even bigger. She has a lot of catching up to do with Twitch friends, streamers and community members alike. If you'll be there and would like to meet up, drop a line in our Twitter DMs or on our Discord server! Fabio came to Canada from Brazil in November 2013, and after becoming a permanent resident, he’s now a full-fledged citizen! Time to ride some moose through the snow in the maple tree forest. Back Boyfriend Dungeon on Kickstarter! Our good friends over at Kitfox Games have launched their Kickstarter campaign for Boyfriend Dungeon! If you’ve ever seen our Twitter, you’ll know that Kitfox and Clever Endeavour are quite close, and we’re super psyched about this new project. Romance your swords! Capture the hearts of weapons to level them up in this shack-and-slash dungeon-crawling video game. Voice acting is always more work than it seems, and I'd like to share some behind the scenes voice acting in Batman: Arkham City. We regularly poke fun at Kyler for making typos, but these stories of typos in game code and software really put things into perspective. In very typical Alex fashion, here's a silly video. Enjoy.